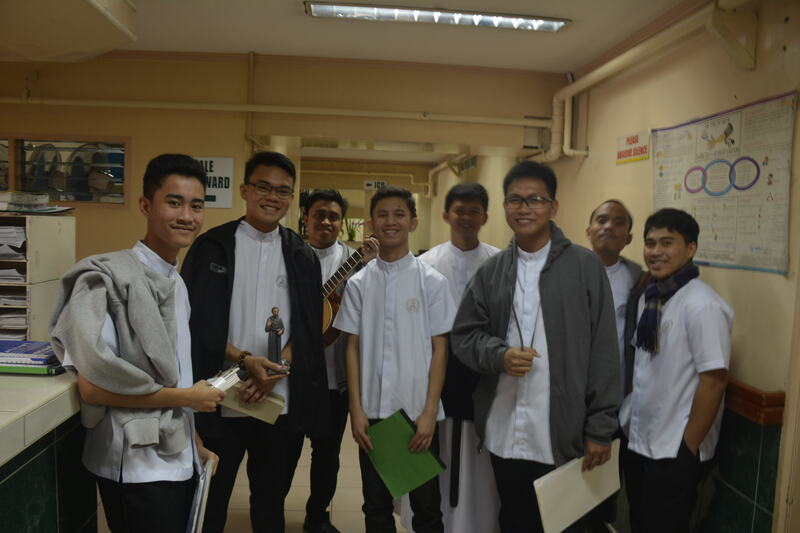 Baguio City — Seminarians of Casiciaco Recoletos Seminary visited and comforted the sick confined in the four biggest hospitals in this city as part of their apostolate on the feast of St. Ezekiel Moreno last August 19. The seminarians did their hospital visit at the Baguio General Hospital, Pines Hospital, Notre Dame de Chartres Hospital, and St. Louis University (SLU) – Sacred Heart Hospital where they shared the Word of God, prayed for, and blessed those who were confined there. “This is a very noble activity for our patients,” said Fr. Mackween Maniwang, CICM, chaplain of SLU Hospital who was the one who approved the activity at the CICM medical facility. The seminarians reassured the sick and their relatives of God’s providential care, and removed in them the thought that they are being punished in their sufferings. The seminarians pointed out that even Jesus, the Son of God, was not exempted from suffering. Moreover, they urged the sick to unite their pains with the sacrifice of the Lord on the cross to find meaning and merit in them. It was also an opportunity for the seminarians to propagate devotion to St. Ezekiel Moreno whom the Church honored as Patron of Cancer Patients. St. Ezekiel Moreno was a Spanish Recollect missionary who was ordained a priest in the Philippines where he spent a good 15 years of his active ministry. He was later named bishop of Pasto, Colombia where he exhibited the virtues which made him a model pastor of souls in the Augustinian Recollect family. He died of cancer of the palate, but the dreaded disease was not able to take his spirit. On the contrary, he bore his infirmity with utmost trust and confidence in the Lord and even used the malady to unite himself more fully to the Sacred Heart of Jesus. After the sharing, the seminarians also entertained the sick and their relatives with animation songs which put a smile on the faces of those who were around.